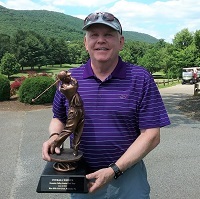 5th Lee, Harvey Sitton, James Mitchell, Gary C.
Mike Bond was the Overall Winner of our 3rd season event held at Blue Hills Golf Club. 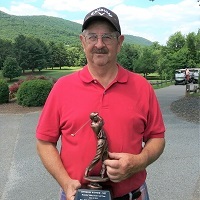 Playing in Division 3, Mike shot 85 for a 53 net. Other division winners were Gary Mundy in Division 1, and Patrick Lynch in Division 2. 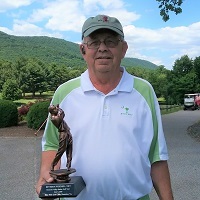 Tim Earhart was Low Gross Medalist & Medalist Division Winner for the tournament shooting an under par 68. 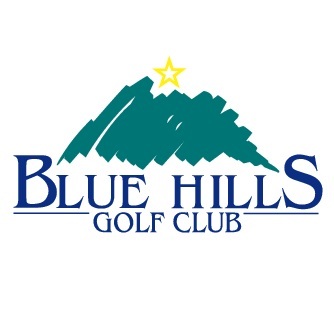 Thanks to Gary and the Blue Hills staff for the great course conditions and hospitality; and to Annette Carter for providing the on course refreshments raising awareness for Alzheimer's.